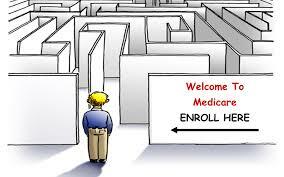 Erik is losing his Medicare Advantage group plan, and I am learning that the main advantage to the Advantage plans is you don’t need to understand Medicare. Now, I will be covering Erik under my employer’s group plan, but I have spent the past two weeks talking to everyone under the sun about how my plan works with Medicare. I don’t recommend it as a way to spend two weeks and fingers crossed I understand it, and we don’t end up paying and arm and a leg for things. Also, that we never have to try to understand another government program designed by people who don’t speak a human language ever again.